The Earth should really be known as Planet Ocean, because we live on Spaceship Earth. The ocean produces over 70% of the oxygen in our atmosphere. It feeds just about everyone on the planet. But it's a resource that needs to be treasured, regulated, savored-- because if we don't do something about it, it might not be there anymore. Once the ocean's ecosystem collapses, life on Earth will radically change. As an engineer-- by default I'm a technologist. I love tinkering, coming up with crazy ideas, and reading up/playing with all the new gadgets and gizmos that come out. 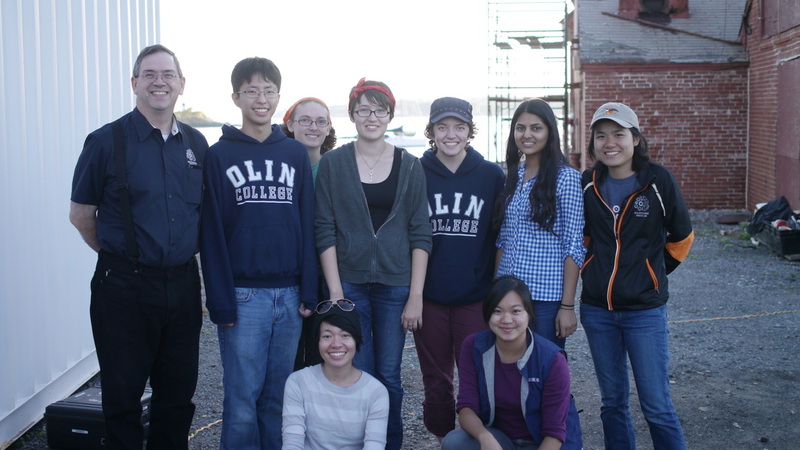 Olin taught me to think big, to look at the world's problems-- and I decided I'd take my chances and see what I could do for a few months after graduation. incidentally, my brother-in-law had pointed me to a video of Shah Selbe, a National Geographic Explorer, and I knew exactly what the label for my new hat was--Conservation Technologist. Acidification-- growing C02 levels mean more carbonic acid (as it gets absorbed by the ocean)-- which dissolves shells and coral. So why work for a whale conservation group? Certain whales (eg. Sperm Whales) happen to be apex predators (top of the food chain). This means they're like giant sponges and collect all the pollutants that everything below them on the food chain have ingested. Monitoring their health means that we can understand the health of the species, and extrapolate that to the rest of the ocean. As their Chief Technology Expert / Robotics Program Director, I was there to bridge the gap between marine mammal research and current robotics technological advancements. I served as many things-- the liaison to the Olin College SnotBot team (geek-translator for the OA crew and relayed system requirements to Olin students), program fundraiser (assisted both the SnotBot Kickstarter campaign and the general fundraising and grant writing for getting seed money to get more in-house innovation started), and resident technologist (for dreaming up and planning out the next stages of implementing better ways to do things like collect whale snot, or image the features of a pregnant whale. Some of the fantastic Oliners I got to team up with, and travel with to Italy for the IEEE/MTS Ooceans Conference in Genoa! 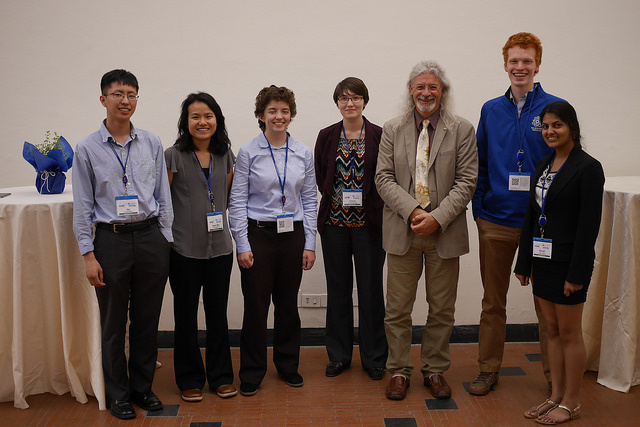 Our picture with the IEEE Ocean Engineering Society Presdient, Rene Garello, at the Oceans Conference in Genoa, Italy May 2015. 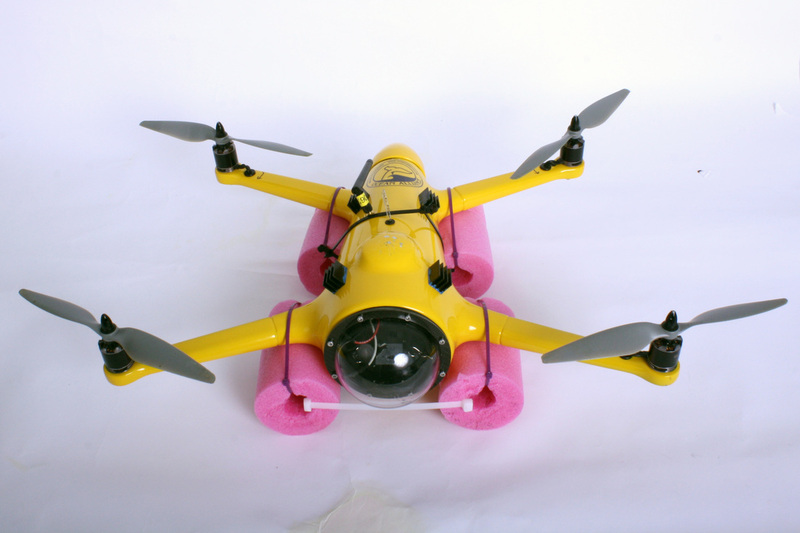 Our sleek SnotBot (which we've since transferred over to the new HexH20 by the same company).